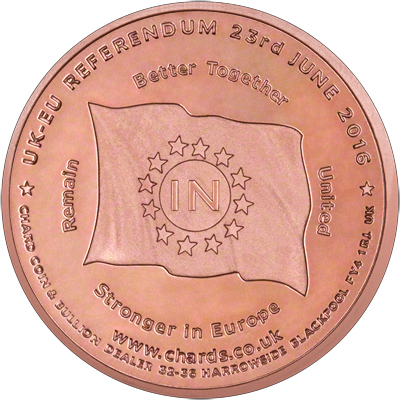 Chard have commissioned an "In / Out" medallion for the UK EU Referendum. We received our medallions on 9th June, 2016. Please note that due to high demand, orders over 100 medallions will be produced on a mint-to-order basis and will experience a delay of around 1 week. On Thursday, 23rd June, 2016 the UK will vote to decide whether Britain should leave or remain in the European Union. The EU Referendum will be the most important decisions the UK voting population will make since it joined the European Economic Community in 1973 (referendum was in 1975). Spin or Flip to Decide? 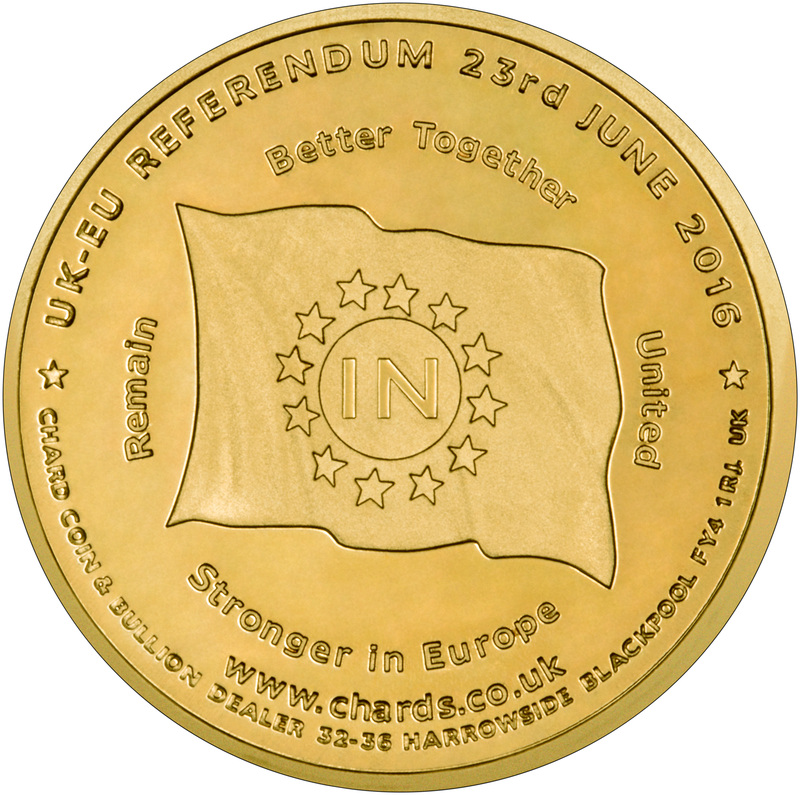 Spinning one of our "coins" might be a better way to decide than listening to the politicians on either side, and probably gives you a better chance of making the right choice. The medallion is made from copper. 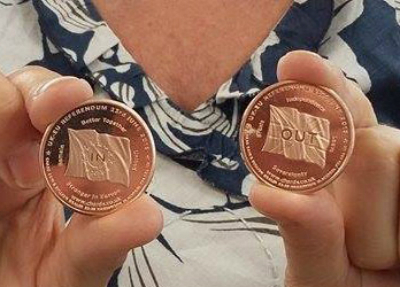 These are loose medallions which do not come in a folder. 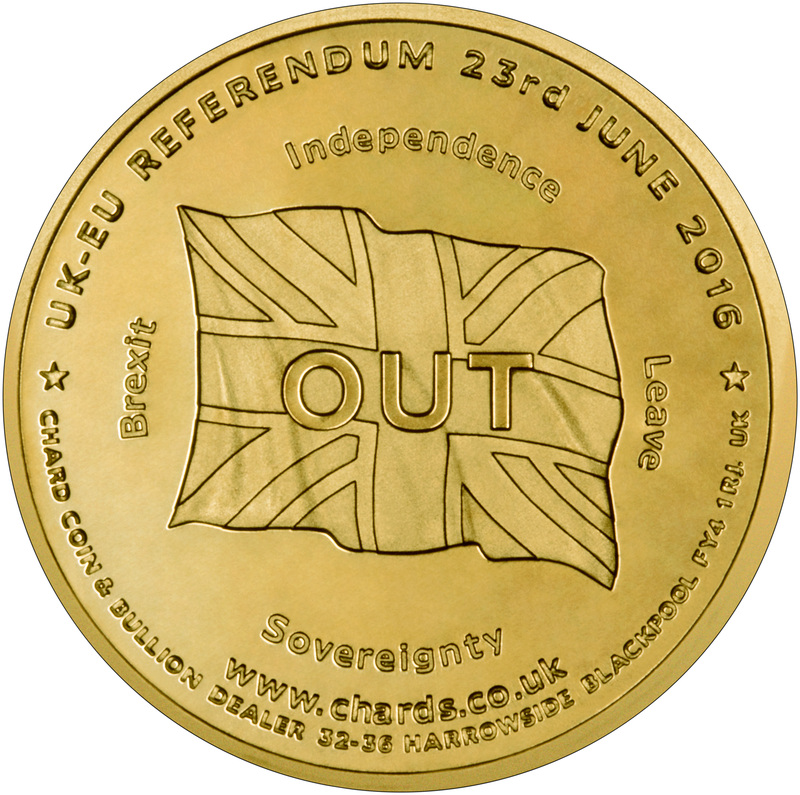 Due to the time-sensitive nature of these medallions, we wanted to get them in stock as soon as possible. Unfortunately we could not have predicted that the factory producing the medallions would go into liquidation! During the two week period we tried everything to get the medallions made. Lawrence was even considering driving to Birmingham to collect the dies, then finding someone to produce them. Luckily for us, the business was taken over. The new owners pulled out all the stops to get our medallions made and we couldn’t be happier with them! The only way to get them made quickly was to use copper blanks, rather than the Abyssinian gold (copper and bronze alloy) we had wanted. 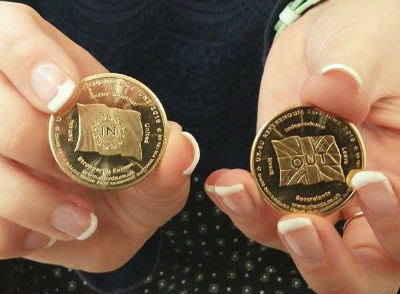 For this reason the medallions are more of a rose gold colour, than the gold colour we originally thought they would be. We were able to obtain a small amount of brass (gold coloured) medallions on 21st June, 2016. Weight = Approximate weight in grams.